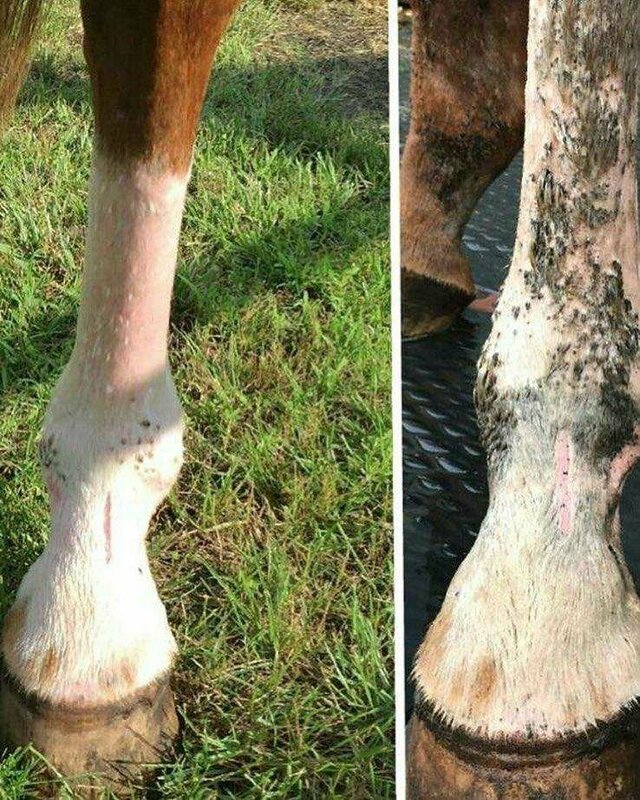 It's not a fungus and it's not as simple as urine splashing up on the back legs of your male horse (forget calling it "stud crud", mares get it, too). The official name of this crud is cannon keratosis. Cannon keratosis is caused by an excess production of keratin, the main structural constituents of hair, feathers, hoofs, claws, and horns. The problem arises when excess keratin exudes from the skin and dries there. Getting it off can be as tough as trying to get off dried glue. HOW IS CANNON CRUD TREATED? Treatment couldn't be more simple - just apply a generous amount of Equiderma Skin Lotion to the affected areas, leave on and let it work its magic. The next day, shampoo the legs thoroughly with Equiderma Neem Shampoo or any other mild, non- medicated shampoo. Rinse, dry well and prepare to say hello to your horse's smooth, clean, healthy, crud-free skin! Seriously! It's that simple. 1. What if there is still crud after using Equiderma Skin Lotion? Occasionally the build up will be more advanced and will need an extra treatment. Follow the same treatment as you did the first day. Just re-apply another generous coating of Equiderma Skin Lotion and leave on. Allow to sit on the skin overnight and wash legs the following day. 2. What are the Equiderma Skin Lotion ingredients? Equiderma Skin Lotion contains mineral oil, chlorhexidine, and fungal fighting agents. 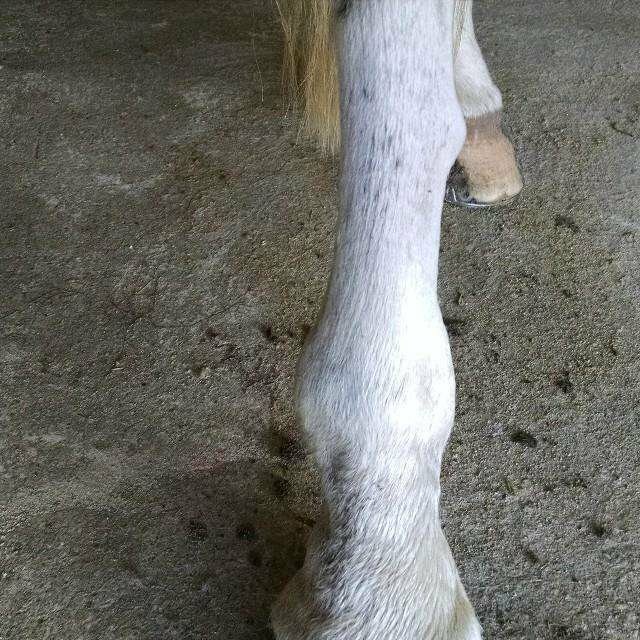 It was developed for use on sweet itch, rain rot, mane and tail itching but we happily discovered it was also the answer to cannon crud. 3. 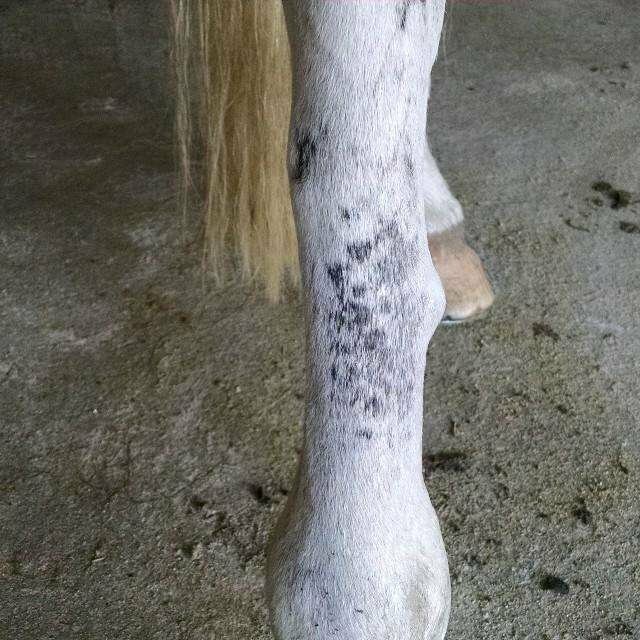 Can I use Equiderma Skin Lotion on my horse's face? Yes, we like to use a small round tack sponge to control where the skin lotion goes. Apply onto the sponge and wipe a small amount in a circular fashion to the affected areas. Follow the same protocol as you would for the legs. Leave it on, wipe and rinse off the following day.